Welcome to Australia’s Number ‘1’ Top Gun Jet Fighter Operation, Jet Ride Australia’s Fighter base is situated a short drive north of Sydney in the un-congested skies of the Hunter Valley. Our Top Gun Flights providing value for money judged by the 85 jet riders we fly per month.”Satisfaction Guaranteed” Our pioneering concept provide Australian’s and International guests with the ultimate and affordable gift idea, this would be a great Fathers day for your special dad. Jet Flight’s specialty is to make your birthday gift a memorable and easy process and to fulfill the dreams of all who fly with us. Fly with Australia’s only International L39 Jet Race pilot Captain Mark Pracy and picture yourself ripping across the sky in excess of 900 kph pulling up to 5Gs in our modern L-39 Jet Fighter experiencing aerobatics manoeuvre’s you have never imagined possible, – The Fastest Ride in the Country… Pay a deposit of $200 and receive your personalised JET FIGHTER GIFT PACK. Prices start from $1400 for a Father’s Day Top Gun 15 Mission and the gift pack comes with each ride, This great package can be upgraded on the day you fly if you wish. We guarantee that you will be flying with Australia’s most experienced L39 Albatros pilot. 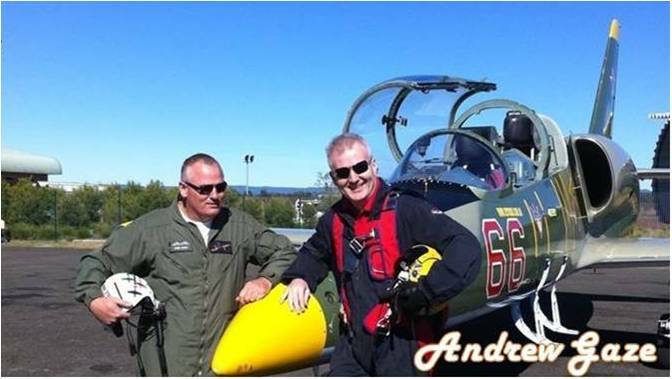 Mark is Australia’s only International certified L39 Albatros Jet Fighter Race Pilot. Mark is also a Airshow Pilot and Flight Instructor.